During the first decade of the 20th Century cartoon ads from Chas. 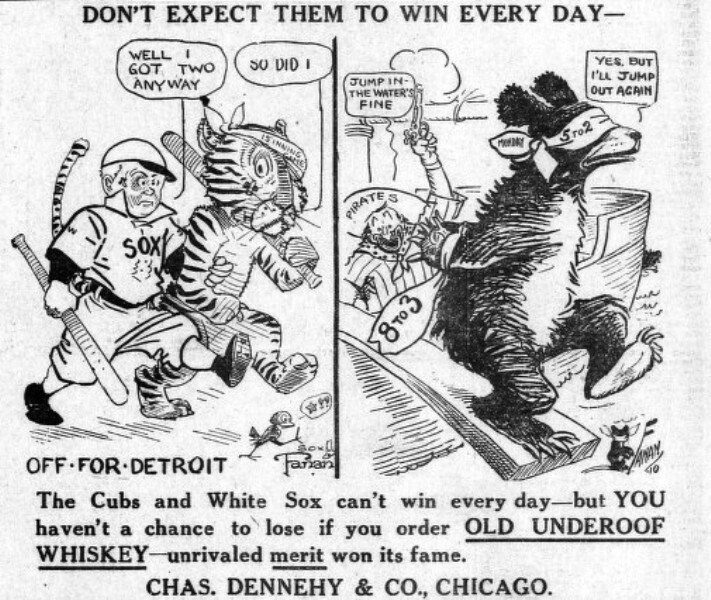 Dennehy & Co., distributor of Underoof Bourbon and Rye Whiskey appeared regularly in Chicago newspapers. Most focused on the Cubs and White Sox, but other teams were featured as well. The ads above and below are from 1910. 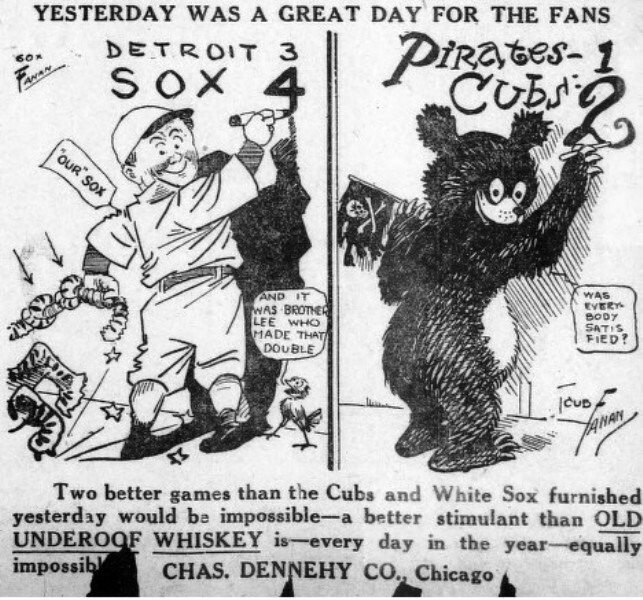 The first ad appeared on May 2; The White Sox beat the Detroit Tigers 4-3. the Cubs beat the Pittsburgh Pirates 2-1. The second appeared three days later after the White Sox lost 4-0 to Detroit and the Cubs were beaten 8-3 by the Pirates.